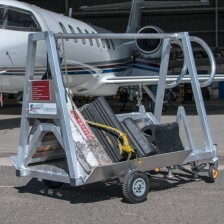 Originally designed and manufactured by SafeSmart for a client’s Airbus A350 aircraft, this platform can be customized to suit any airliner, for access to the windscreen without using dangerous ladders or steps. 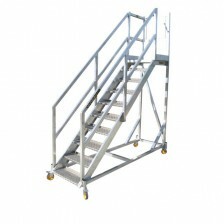 This system can be configured with platform sliders to suit the LH or RH of the aircraft. And the unique ‘half-width’ design saves space in the hangar and money whilst in use.